The problem in air conditioning system is noticeable when you see the air handler and the pipes have ice filled. This in turn will decline the cooling capacity of the refrigeration system. Hence there is a grave problem that has to be solved immediately. The first thing that you must do when you see that the air conditioner is frozen is that you turn it off immediately. You must turn the fan on the thermostat but the cooling must be left off. Thus the ice will melt on the evaporator coil. You must make sure that the cooling is turned off but the leave the fan running. Why does the air conditioner get frozen? First and foremost you need to look at the airflow. 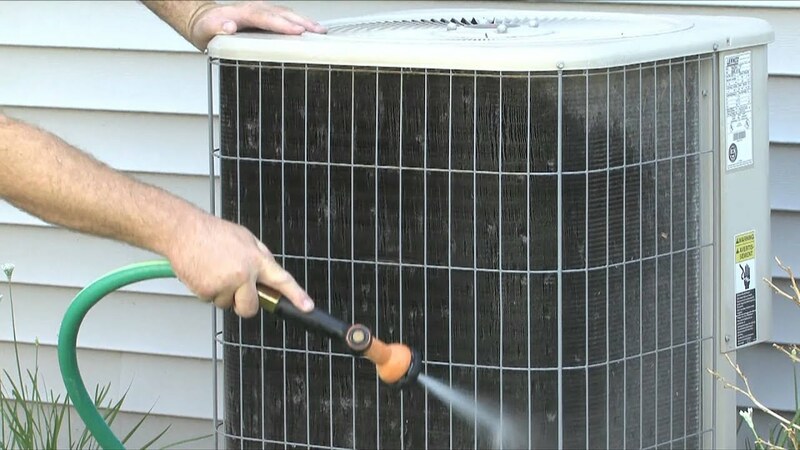 The air conditioner is designed specifically for the airflow to go through the evaporator coil. This happens when the unit is in the cooling or air conditioning mode. You must therefore have a high-velocity air conditioning system. The evaporator coil needs at least 400 cubic feet per minute of airflow across the coil per ton. If this is not the case, then the air conditioning will definitely freeze. Why is my Air Conditioner Frozen? It may be due to a problem in the refrigeration system. The most problem is seen to be the leak in the pipes of refrigeration. This problem is caused when the conditioner pressure drops in the evaporator. This leak needs to be repaired immediately and then the system is recharged by the professional.